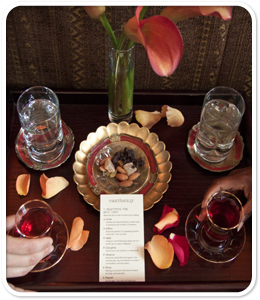 "My partner surprised me with a couple's massage for our six-year anniversary at Earthbody. It was, dare I say it, an emotional experience to feel so cared for in such a beautiful environment. You can feel that great care has been taken to develop the space - it's genuine. Earthbody is the best because they focus on all the right things - the stuff you can't fake your way through: grounded beauty, customer service, warmth and humility." "Earthbody brought me down - into myself. The rich brown colors and hot oils invited me to descend - joyfully, safely, lovingly. This is a sactuary in SF to which I return again and again." 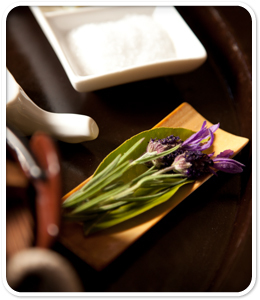 "The boyfriend and I had a wonderful couple's massage experience at EarthBody. It was his first massage ever, and my birthday/Valentine's present to him. The best part was that I got to share in the gift! Upon entering the spa, I immediately felt transported somewhere far away from the business of Laguna Street. The decor seemed perfect, and we were offered tea or water while we filled out the forms and waited for our massage therapists. In our blissed out state, we were very grateful that we were not hurried out of the building. Upon exiting the treatment room, we were greeted with a platter of tasty snacks and tall glasses of water. No hurry to pay and leave, we were invited to stay and relax as long as we needed. Bonus points for organic oils and lotions!" "My therapist found a trigger point in my back that relieved a pain I had been carrying around for months. These are healers not just massage therapists." “Ahhhh… I reached a state of Nirvana. “No question - the best massage I've had in years! call us or purchase online now.